I'm reading a new book, guys. I chose this one because it is based on positive parenting; i.e., teaching not punishing. Because getting a spanking, sitting in a time out, or being screamed at by a crazy woman out does not actually teach your kids a needed skill. It usually just pisses them off. And while that is something (and to some parents, everything), it generally just teaches kids not to do something while you are watching. It never teaches them a new skill or how to behave. (Hannah likes to tell me, "Mommy, big girls behave. Do you know what 'have' means?" get it? you be have, the way you be nice. Funny stuff). One of the first suggestions in the book is called "mind/body/soul time." But I'm just going to call it "mommy time" (and Cork, "daddy time") because that feels less weird to me. 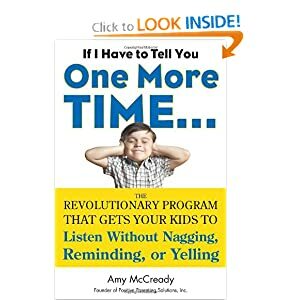 But the author talks about how you should spend ten minutes, twice a day, one-on-one with each kid. And not just sitting next to them while you're messing around on facebook on your phone (um, guilty); or giving them half-hearted, "oh really? that's cool!" responses to their stories (guilty again). But really, actively engaged in what they are doing and saying. You are in it 100 percent: listening, playing, laughing, building, coloring, splashing, whatever they want to do, right along with them. The point of it is that most of your kids' misbehavior is a plea for attention and power (feeling in control to do what they want to do; e.g., get dressed when they want to, wear what they want to, play as long as they want to, however they want to). And if you reliably give them that attention and power in healthy ways, they won't be as apt to "ask for it" in unhealthy ways (engaging in power struggles, throwing fits, disobeying, etc.) This sounds like a win/win. There is no way that spending quality time with your kids can't be beneficial. The only problem is, making the time. See more reviews on this book: here, here, here, and here.